Jump to video Chinese students flock to college in U.S. 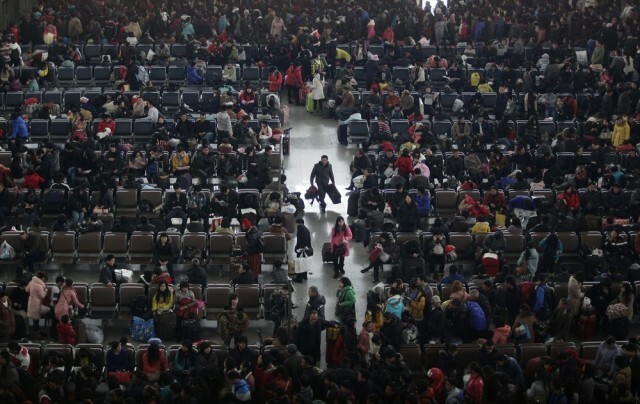 The crowded hall of Wuchang Railway Station in Wuhan, China, on Jan. 8. Rapid urbanization in China over the past three decades has underpinned its stellar economic performance as hundreds of millions of people left rural homes for towns and cities in search of better-paying jobs.